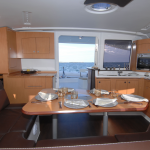 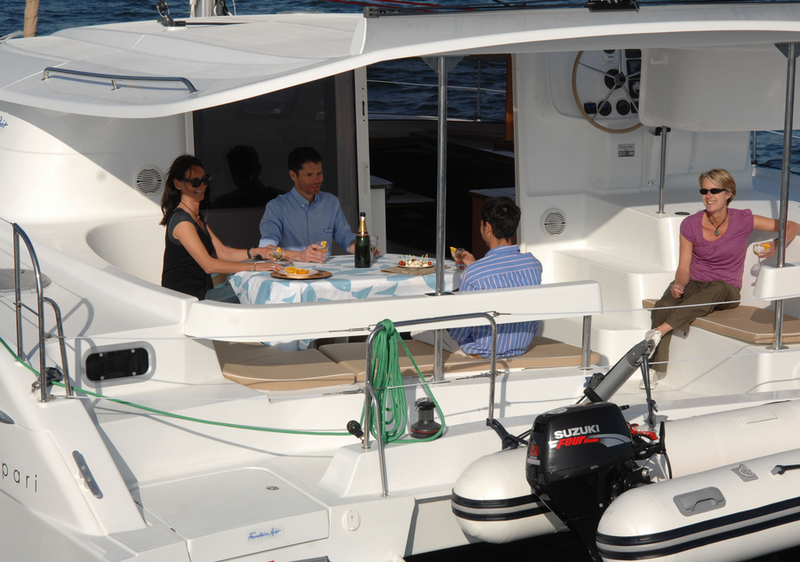 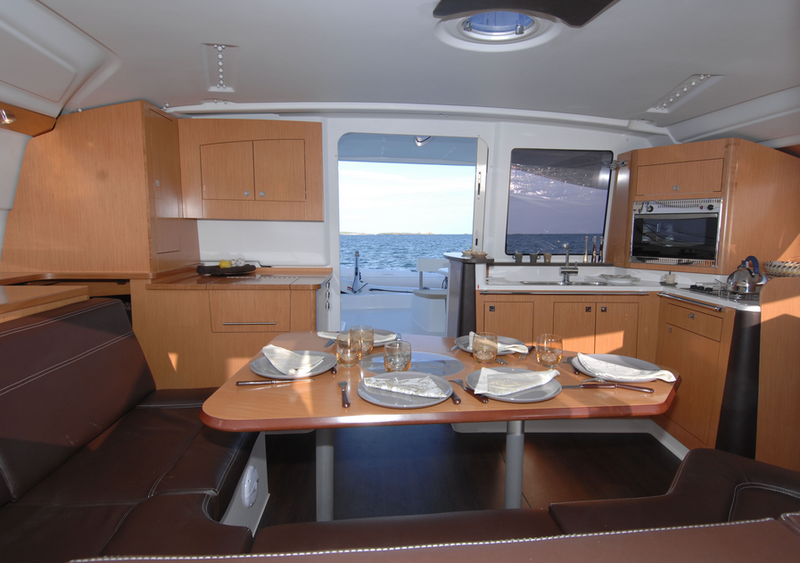 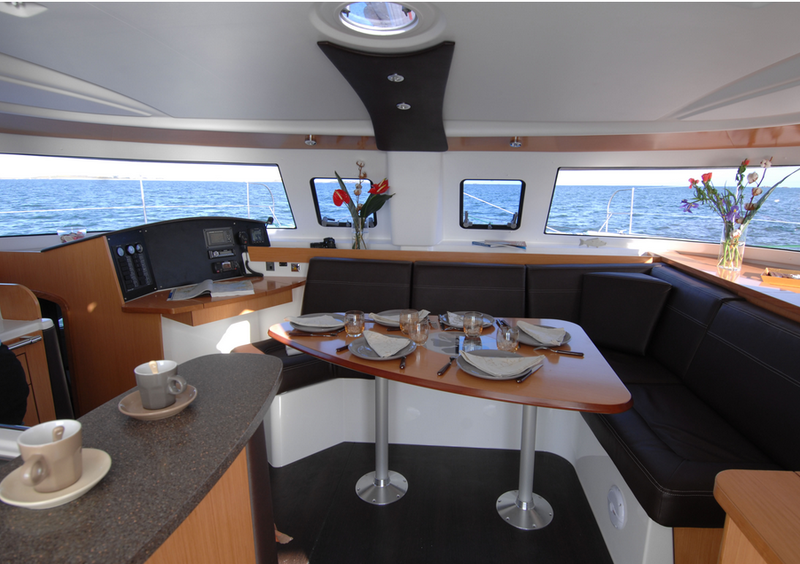 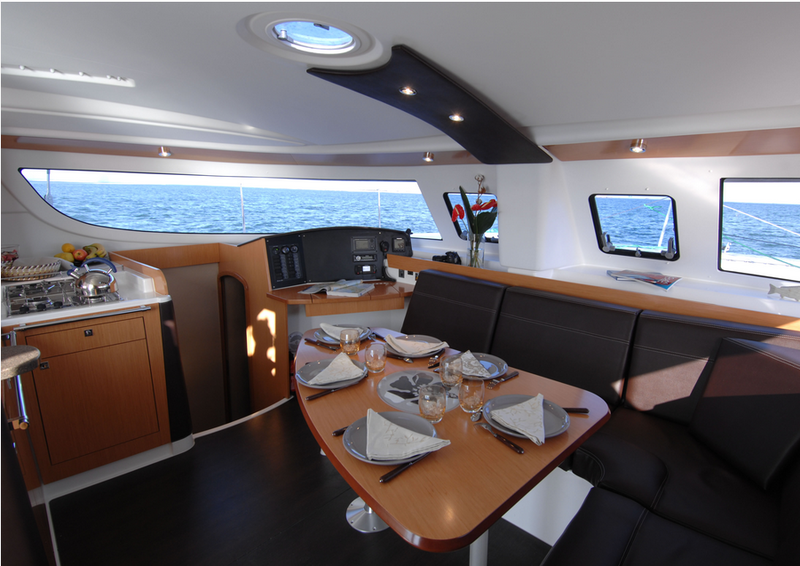 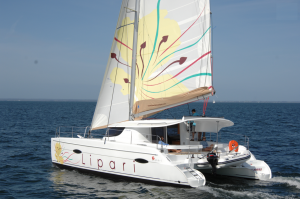 This Lipari 41 from Fountaine Pajot could be characterized as a typical cruising cat for its size. 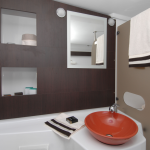 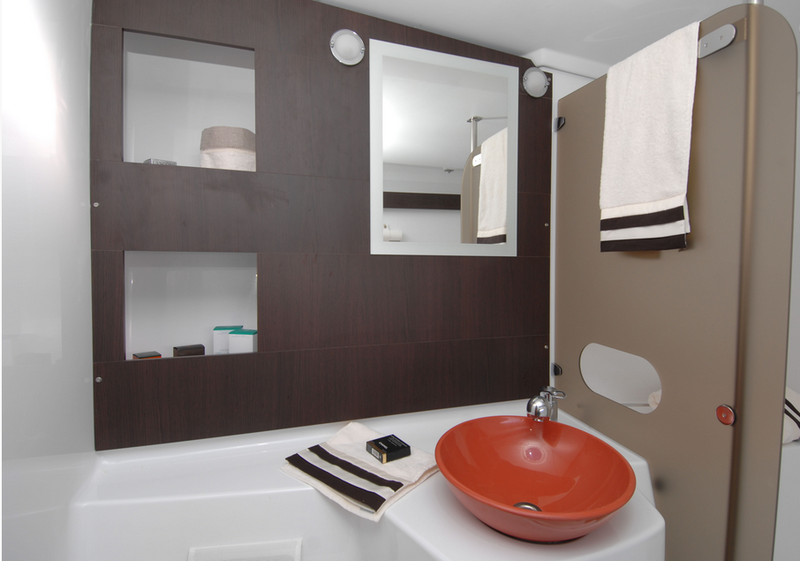 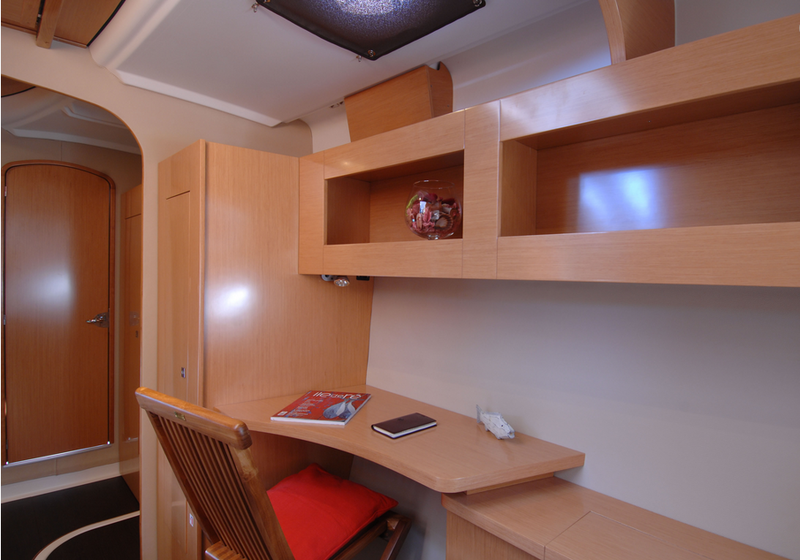 It has spacious accommodations, relatively high freeboard, and a raised salon with excellent visibility. 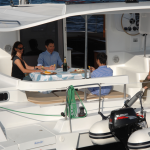 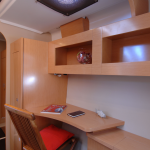 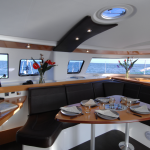 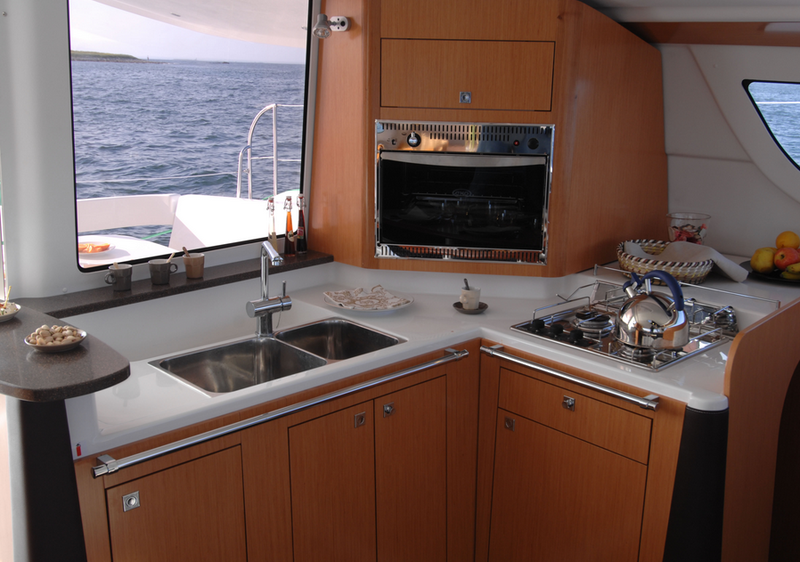 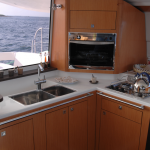 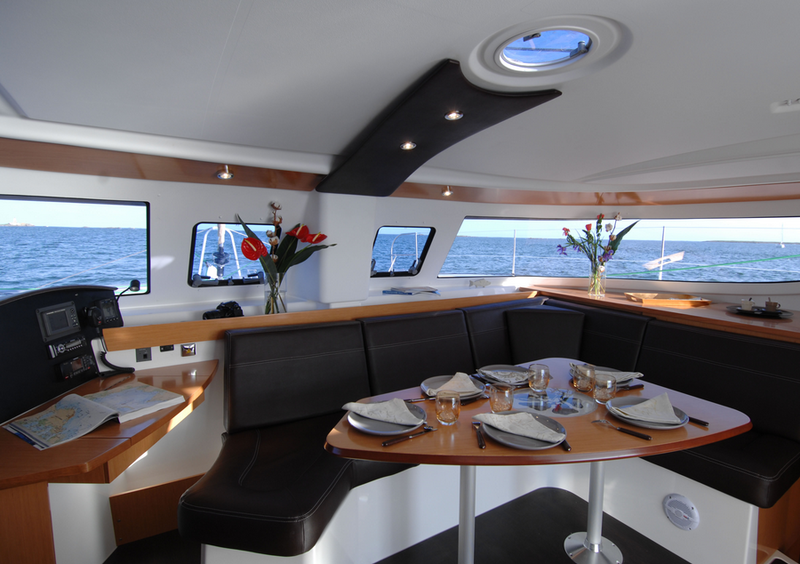 The Lipari also follows some of the newest design trends in cruising cats. 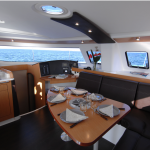 It has significant headroom below and essential bridgedeck clearance that comes at the cost of increased windage. 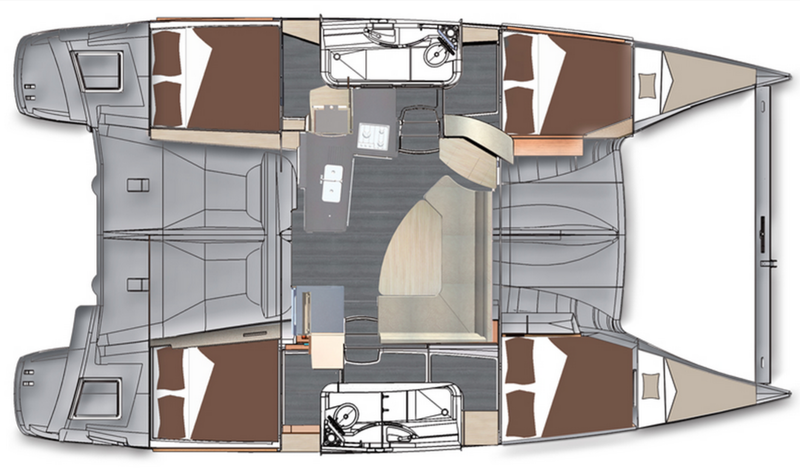 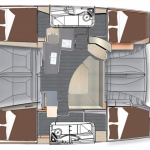 Also, instead of the canvas bimini raised above the salon’s coach roof that you’ll find on older cats, the Lipari follows the trend of simply extending the saloon coach roof over what could be called the cockpit but might more accurately be termed the “exterior lounge area. 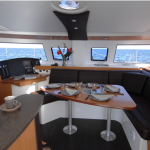 The helm station centralizes the running rigging and provides seamless access to the deck as well as sightlines to the boat’s perimeter, or at least most of it.